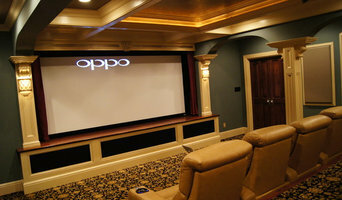 Embrace the future with the help of a highly qualified home system installer. 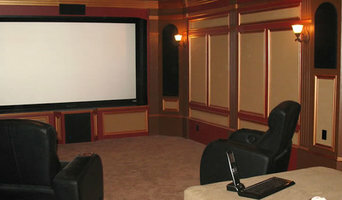 Peacock Technologies offers a selection of impressive and modern home automation, entertainment, and security systems. Our crews are available to travel to Kentucky, Indiana, and Ohio to conduct complete consultations covering all your needs. Our responsive staff can quickly answer all your questions in a detailed manner with everyday language. We strive to provide prompt completion of all your projects. We handle: Phone and network systems Television installations Surveillance systems Design and planning assistance The punctual and professional crews from Peacock Technologies have the electronics installation experience required to do the home system installer job right the first time at an affordable price. We are available Monday – Sunday by appointment, and scheduling with us is easy. Talk to our professionals today to receive a free estimate detailing all your home installation needs. Design and build products no one else will do. Generally 1 of a kind. Find a home media designer on Houzz. 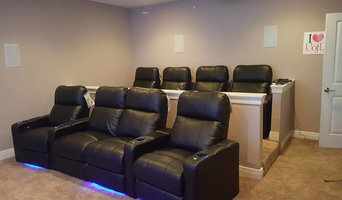 Narrow your search in the Professionals section of the website to Louisville, KY home media designers. You can also look through Louisville, KY photos by style to find a room you like, then contact the professional who designed it.